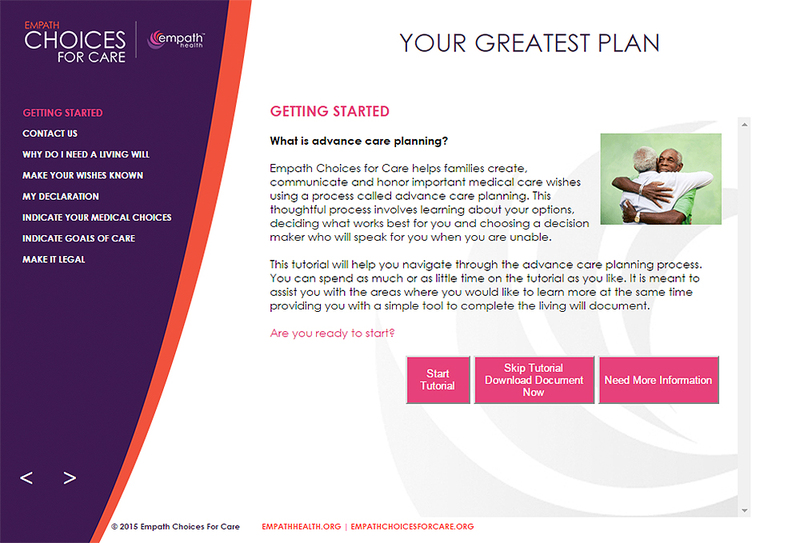 This module will help you navigate through the advance care planning process. You can spend as much or as little time on it as you like. It is meant to help answer your questions and at the same time provide you with a simple tool to complete your living will document. The average amount of time spent on the module is between 20-45 minutes. Your privacy is important to us. Your information will not be saved or stored on our server. You will only be able to save your document as a pdf at the end of the session. If you close out of the module during the session, all data entered will be removed and you will be prompted to start from the beginning. You will be asked to complete a brief survey at the end of the module. Your feedback is very important to us.